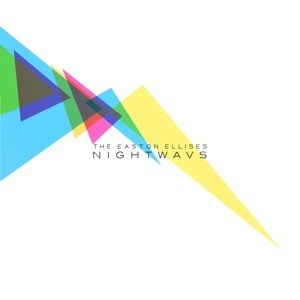 [EN] Enough Records is proud to present their 6th Easton Ellises release called Nightwavs. Fruit of a twelve month effort, Nightwavs is the Montreal band’s latest studio EP. Many songs were written in but only a select few made the cut. On the record you will find a refreshing sound that goes from rock with 80s synthesizers a la Duran Duran, to disco with "funky" guitars a la Nile Rodgers, which is reminiscent of the recent Daft Punk success "Get Lucky". You can find creative commons samples of their songs available on ccmixter. There is also a video produced under a Creative Commons license for the 3rd song on the EP entitled Falcon 69. [PT] A Enough Records apresenta a sua 6a edição dos The Easton Ellises entitulada Nightwavs. Após 12 meses de esforço, esta nova edição é o mais recente EP gravado em estúdio da banda Canadiana. Com sonoridades que vão desde o rock com sintetizadores dos anos 80 à la Duran Duran, ao disco com guitarras "funky" a la Nile Rodgers, reminescente do recente sucesso dos Daft Punk "Get Lucky". Os samples das músicas dos The Easton Ellies encontram-se disponiveis para remisturas no ccmixter. Está também disponivel um video do terceiro tema do EP: Falcon 69.